Glass Bubble Fish Bowl. D-12", Pack of 2 Discounts Apply ! 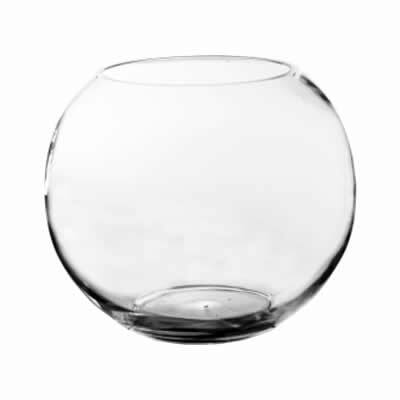 This simple bubble bowl is simple yet sophisticated. Our Bubble bowl is 100% hand-blown, unlike the other machine-made thin bubble bowls in the market. This bowl is a perfect container for large floral arrangement or as a stunning plant terrarium. Dimension: H-10", Open D - 6", Body D - 12"